The old school of thought is that you need to beat your competition to succeed. But that very thought may be doing more harm than good to your web business. Because times have changed. Today success is about making friends. It’s about finding a common ground with your competitors. It’s about collaborating with each other to collectively get more customers. If you want to take your online business to the next level, understand the power of partnerships. Stop seeing your competition as your enemy. And learn to embrace it, instead of fighting it. By joining forces with your competitors you’ll worry less about losing sales and be able to focus more on growing your business. Now, the question is, how do you create joint ventures that give results – without hurting your own profits? Get Clarity: Be crystal clear about what you want to achieve with your partnership. Yes, ultimately it’s about growing your revenue. But having a more concrete, mutually beneficial goal can take you a long way. Do a Background Check: Regardless of who your competitor is, always check them out before moving ahead. Because striking a good joint venture deal is not just about money. It’s also about safeguarding your credibility. Find a Gap: Working with your competition becomes easier when you find a gap in their business that you can fill with your product. They’ll be more open to partnering with you when your product actually complements theirs. Be Ready to Commit: If you’ve decided to team up with your competitor, then take it seriously. Always keep in mind that a joint venture of any kind requires commitment to make it profitable. Free webinars are gaining popularity these days. Many online businesses are using them to connect to their target audience, get more leads and win more sales. 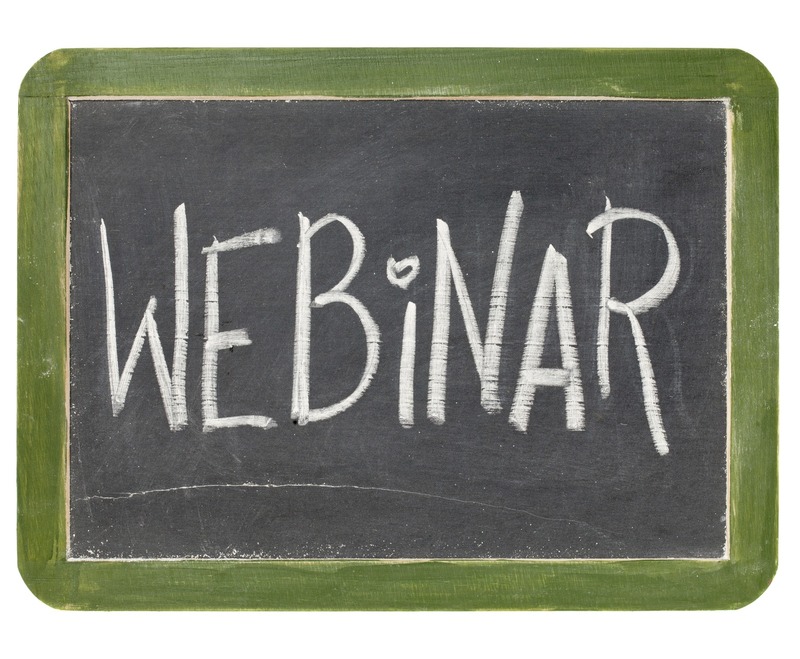 So why not partner with your competitor and host a webinar? 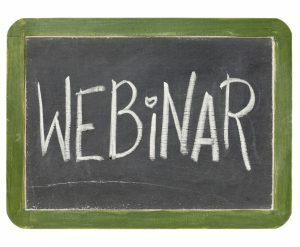 The reason why webinars work so well is because they have a high perceived value and lead to better conversions. By doing a webinar with your competitors, you’ll be able to tap into their assets – more specifically, their list of customers. Imagine being able to instantly reach out to a pool of qualified prospects that are willing to listen to you and take action on what you have to say. If that doesn’t get you more sales, I don’t know what will. 1. Prove to them that you know your game. Give them a preview of the kind of quality that you can deliver. Make it clear that your aim is to give solid value to their list and nothing less. 2. 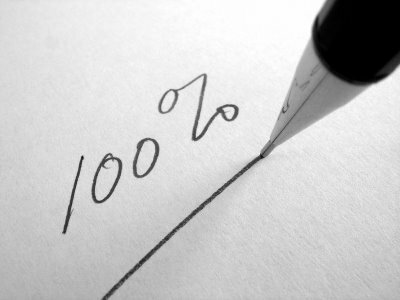 Offer a percentage of the profit that would be generated through the webinar. Give them a bigger share if needed. By no means should your deal look weak. Make them an offer they can’t refuse. Your aim here is to not only strike a deal, but also create a strong foundation for your webinar. Once you successfully convince your competitor to do a webinar with you, the ball is in your court. This is when you’ll have to decide on the topic and content. Give Tips and Strategies: People are always looking for tips they can use. Ideas they can borrow. And strategies they can experiment with. By sharing useful content you’ll be able to prove your expertise and win trust. Share Your Success Story: Nothing sells like success. If you’ve got a story to tell that proves your point and showcases your authority, then share it in your webinar. Remember, stories bring out emotions, and emotions lead to action. Hold a ‘How to’ Session: Have a solution for a difficult problem? Show your attendees how to solve it. Get into the details but don’t give everything away. Lead them towards your product and explain how it’s the better solution. As long as you’re delivering value, doing webinars can be fun and rewarding. But ultimately, it all boils down to numbers, or how many attendees you convert into customers. Informative how-to reports have always been the rage in the Internet marketing world. Whether it’s getting people to join your email list or creating a bonus for your main product – PDF reports work. However, there’s an underutilized way of using such reports to drive back traffic to your site and score more sales. It involves creating high quality PDF reports that are specifically customized and branded for your joint venture partner. Just like you, your competitors are looking for ways to reach out to their target audience, grow their brand and get more sales. So technically speaking, if you help them do all that, they’ll be glad to help you market your product. 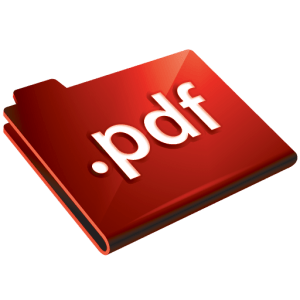 What you can do is create a PDF report with premium, high quality content, and add a ‘sponsored by’ page right in the beginning. This is where you put up a review of your competitors product. If the product has an affiliate program, you link to it with your affiliate link. But wait, what about your product? How do YOU gain from this tactic? When you’re done creating the report, the next step is to get in touch with your competitor. Email them the report straightaway and let them know you created it exclusively for them. Ask them to share it on their blog, Twitter, Facebook, etc. The idea here is to get the report to go viral. But that will only happen when you over-deliver on the value. So focus on creating a report that you’re proud of. Something you know will spread by word of mouth. The more useful your report is, the more exposure it gets. The more exposure it gets the more targeted traffic you achieve – traffic that converts into sales. Ever thought about building a fruitful relationship with your competitors? If not, then you seriously need to consider it. The fact remains that a business can’t be everything to everyone. You might have the best product in the market, but it most certainly doesn’t solve every problem under the sun. The same applies to your competitor’s product. If you look around, you will find competitors who aren’t directly competing with you. They may be selling products that are complementary to yours. And that’s where the opportunity lies. For example, if you sell web design software, you could refer prospects to your competitor who sells web design ebooks. This not only helps you get a percentage of the sales you refer (as an affiliate), but also positions you as someone honest. As you start referring sales to select competitors, it gives you the opportunity to talk and persuade them to refer your product to their prospects. Besides that, when you refer your prospects to quality products, you become a trusted source. The next time they need something, they’ll come to you. So your honest referral helps you bring in more sales in the long run. Growing your online business becomes simpler when you know how to partner with the right people – without putting your reputation at stake. Sounds familiar? 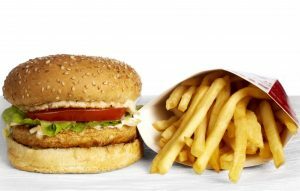 It’s a common cross selling method practiced by fast food restaurants. Cross selling is not new to the online marketing world. 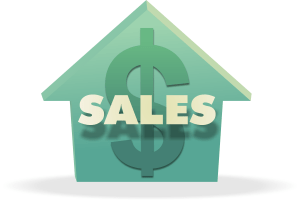 Many Internet marketers cross sell to get more sales. Since the customer is already paying for one product, it becomes easy to convince him to add another one to the shopping cart. So how do you go about using this tactic for your own business? By finding competitors selling related products and negotiating with them to cross sell your product in return for a share in the profits. Alternatively, you can also choose to cross sell their product if they cross sell yours. This way both of you can keep your own profits and still get to leverage each other’s assets. It may not work with everyone you approach, but is definitely worth a shot. Your product may have the highest conversion rate, but it won’t do much if you’re pitching it to the wrong audience. Choosing the right partner is crucial to make the most out of your cross selling. So don’t go into partnership with just about anyone. You have to have the same audience to ensure that you get sales. The more targeted the prospects are, the better. On the flip side, you may have found the best joint venture partner to work with, but if you’re cross selling a product that’s not related to their audience, it’ll bomb. Just as it’s important to have the right audience, it’s also important to offer a matching product. Regardless of how many products you sell or who you decide to partner with, see to it that the product you’re cross selling is relevant. This not only improves your conversion rate, but also ensures a long term relationship with your JV partner. If you’ve got a useful product with a fine reputation, you won’t have a hard time striking partnerships. Even a few good competitors cross selling your product can help you reach out to a bigger audience. 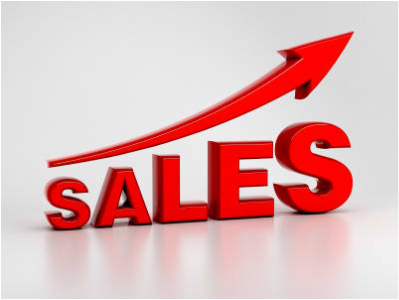 In order to increase your sales, you need more people to sell to. You need leads that are ready to buy what you’re selling. You need prospects that trust you enough to invest money into your product. Generating such leads requires you to think tactically. It requires you to go beyond free email subscribers and start building a list of customers through an effective front end offer. This is the first step towards getting people into your sales funnel, so that you can follow up and sell them your other products. One of the easiest ways to start getting sales for your front end product is to leverage your competitor’s existing customer list. But it’s not easy getting someone to say ‘yes’ to promote your product, even if you promise a high commission to them. Create a front end product and make sure it’s good. I mean REALLY good. Something you’d be proud to sell. It could be an ebook, an online course, a WordPress plugin – basically anything that is saleable. And make sure you price it well. Once you’re done with it, get the Rapid Action Profits script and install it on your site. RAP is an affiliate management system that allows you to give 100% commission to your affiliates/joint venture partners. With the product and the affiliate system in place, you’ll be able to easily convince any of your competitors to promote your front end product and keep all the money for every sale they generate. Most fail to realize how powerful this tactic can be. Even though you’re not earning anything on your front end product, you are still growing your database of customers. Customers you can to sell to over and over again in the future. Don’t take my word; ask any successful Internet marketer, and he’ll tell you that the real money lies in the back end – not the front end.